There are only 350 of these Final Edition Mercedes SLS AMG in the world! And you could own one them! Luxury and pure power, carbon fiber with breathtaking looks, this has it all! Powered by a 6.3L AMG V8 putting out 583HP and 479lb.-ft of torque! With heated premium leather seats, Bluetooth connectivity and an convertible roof! This super car will turn heads and leave everyone in awe, but it will also keep you smiling as you drive. 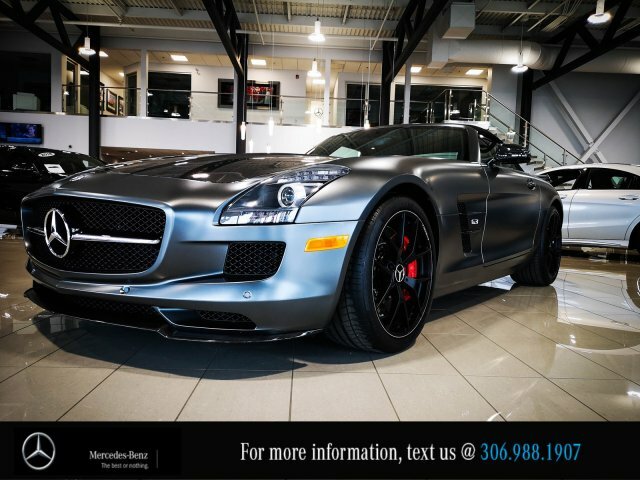 If you are looking for a limited production super car, look no further then this Mercedes SLS-AMG.